Social selling. It’s not just an industry buzzword. It’s a legitimate technique that salespeople should use to build and maintain relationships within a social network that a salesperson and their customers already trust. According to LinkedIn, “social selling is about leveraging your social network to find the right prospects, build trusted relationships, and ultimately, achieve your sales goals.” This technique contributes to lead generation and to the sales prospecting process. With such an emphasis on social selling, we’ve put together five basic tips to get you started and on your way to selling smarter on LinkedIn. Your image is just as important in the digital world as it is in real life, and you only have one chance to make a good first impression. A salesperson’s LinkedIn profile is a way to “put your best foot forward” and help to establish the base of your personal brand. 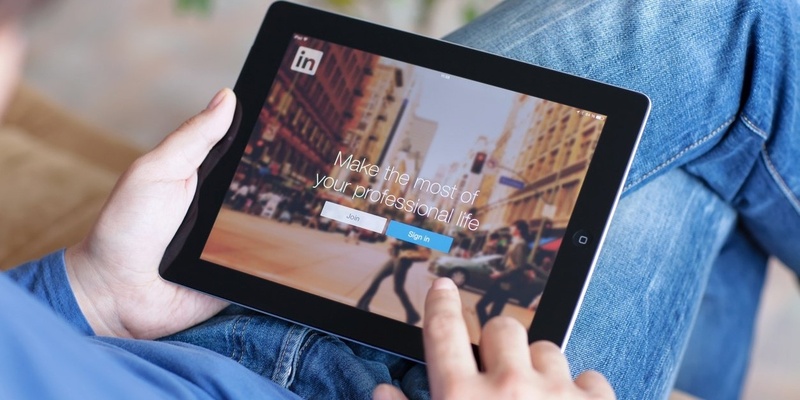 The LinkedIn profile needs to be polished and professional, but it doesn’t have to be stuffy. Completing parts of your profile like adding a professional headshot (stay away from the selfies), writing a great bio, and ensuring you add content to your profile that is important to your prospects… not just your employer or future employers. Remember, you’re not looking for a job. You’re looking to build relationships. Keep that in mind when deciding on the copy and language you’ll use in your profile. Do salespeople really need a personal brand? B2B buyers are selective and choose to build relationships with people they trust, and prospects need a place to find out why they should trust you. A personal brand doesn't have to require endless hours on social media and aggressive online networking. It shows a salesperson is active in their community, an expert in their industry, and leads to more communication and inquiries on your content. Every post and comment can contribute to your credibility in the eyes of your prospects. Share content that’s related to your industry, shows your expertise, and speaks to your prospects. Ready to establish thought leadership and take yourself to the next level? Write industry updates or posts about information you know, have learned, or can speak to, while keeping your prospects in mind with each action you take. Ideally, your company is already doing this with their website and blog, so you can easily be sharing these articles on a regular basis. 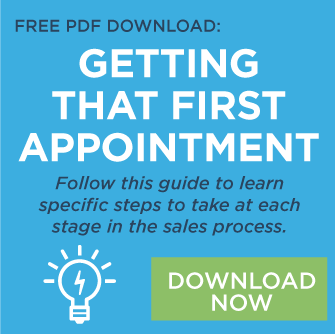 A best practice for every salesperson should be to connect with both prospects and customers on a regular basis. By growing your network on LinkedIn, you’re increasing the likelihood of your efforts actually paying off. We typically recommend making this a part of your weekly schedule to ensure you are using a LinkedIn connection request as part of your approach during the sales process. A great way to engage and connect on LinkedIn is through groups. Nothing says who you are online by what groups you affiliate yourself with. Joining relevant industry groups and receiving updates each week is a great way to stay on top of news and developments within your industry. If you want to do more than just follow the crowd, you can post relevant articles and comment on group discussions and demonstrate your expertise - helping expand your personal brand and credibility. EXTRA: Read our previous post on how to use a LinkedIn Group to attract new business prospects. Each of these five tips will help strengthen your social selling efforts and get you on the path to selling smarter on LinkedIn. These tips are just the beginning. There are many tools, like the LinkedIn Sales Navigator, that can help boost these initial efforts. There are also specific techniques to help salespeople take their sales strategy and implement it on social media. Get started with these tips and continue to expand your social selling knowledge to get you selling smarter and faster with social selling on LinkedIn.